The Review stage has taken me considerably longer than anticipated. I’ve been amazed – almost overwhelmed – by the amount of material generated. I considered another level of summary, condensing to a dot-point list of relevant ideas, but found that too much was lost in the process plus it all started feeling a bit stale. I’ve decided instead to take enough for my first set of samples, then come back to the full sketchbook to refresh and inform for the next cycle. In theory Stage 2 – Research is next, but I’ve decided to interleave that with Stage 3 – Sample-making. It seems a more natural way of working – research leads have already been making their appearance in the sketch pages during Stage 1. Also I noted in my review of Assignment 3 the rhythm of work with casting and molding (12-Oct-2015), and I know there will be time waiting for samples to harden which can be used effectively for research. The working title for the final piece(s) is now An exploration of materials and space. It will probably still look like a collection of vessels, but makes clearer that my interest is in continuing to explore my materials, their properties individually and in combination, and to consider the parts as a whole installation. An update on progress with very brief notes to avoid too much duplication. Most of this work was done while in Bathurst, before or after concentrated days in the class studio. A mix of the next stage, Research, is included. Ideas of dribbling resin, playing with scale, the nature of a “collection” (not all prima donnas), fragility, joining, display (interest from every angle). How to display change over time; dynamic collection; hidden, revealed; contrasts; in assignment 3 sorting saw greatest potential in materials and combinations; want to sample with a list of questions, not fixed ends or answers; how to link items; vessels and space. 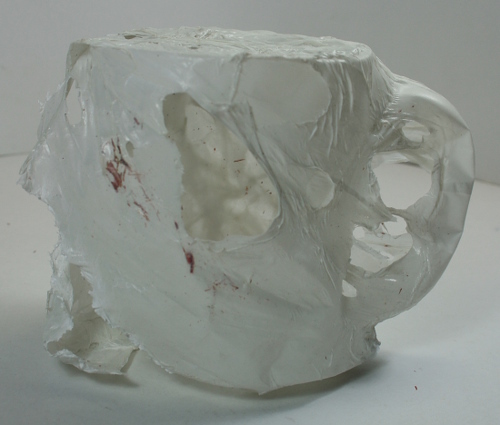 Embedded materials; using dremel tool (from Graham Marchant class); lighting; colouring resin; themes of loss, change, the edge of violence and trauma, or resilience; make every sample count; plaster on crumpled paper; resin to embed fragments of plaster. 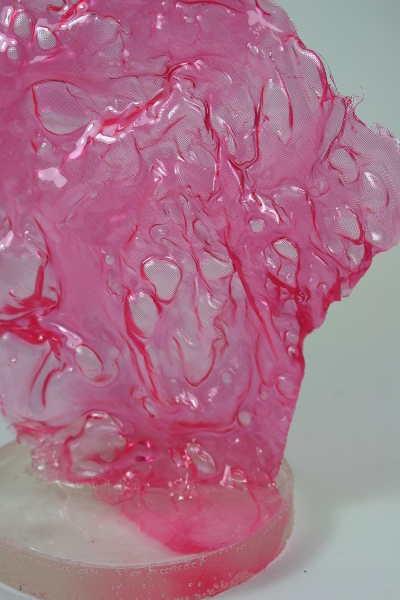 Resin (or other materials) as mortar; 3 simple ideas can be enough; an aside – listenning to TED talks on where ideas come from; using some prints as basis of vessels. Elizabeth Lundberg Morisette. Collection of vessels – the power of many with small differentiation, compared to a smaller group where each piece has an individual presence. More TED talks and research. Tina Vlassopules. Simple basic form repeated with variation. The photograph is beautiful, but I don’t think it would be as strong in a space. Adam Frezza and Terri Chiao. Another example of the differences between grouped and individual display. Very different results. Susan Amann. A beautiful join in raku vessel using basket weave. Perhaps something like that could be my linking element. Finally finished working through past posts for the Review. Assignment 4 was less rich in ideas, but will be important when sampling and recording. Themes of boundaries, open possibilities, uncertainty, layers of time. Contrasts of texture. My strong interest in a collection of cast plaster, recast in print. Marks in the surface. Joins. Now I need to pull together ideas from the Review to take forward. I started the process with the idea of a collection of vessels, and despite other possibilities that remains my preferred option – although “vessel” has blurred with “object”. However I have developed a lot of questions/options around the kind of collection, the kind(s) of vessel, and the means of display. Over the past week I have continued to work through my past blog posts, noting down ideas and generating still more. I am amazed at the amount I have done and the volume of possibilities available to explore further. Even with my tentative restriction to “collection of vessels” there is so much. Some of it is repetitive, and many of my notes go beyond vessels. My main goals remain using materials already identified, combine ideas from multiple parts of the course, a collection where the whole is more than the sum of the parts, and to edit fiercely. Theme – mold as a record of what was. Tea dance by Olive Cotton. Repeated shapes, but rotated and grouped to create co-ordinated movement. Importance of lighting. Continued playing with ideas of variations on a restricted theme. The thought started with glass brick windows. Using a regular shape rather than a vessel could simplify casting. Bricks of plaster and resin, using the dynamic plastic horsehair to create shapes within the bricks and protruding – a way to break up space with more interest, perhaps even join multiple shapes. 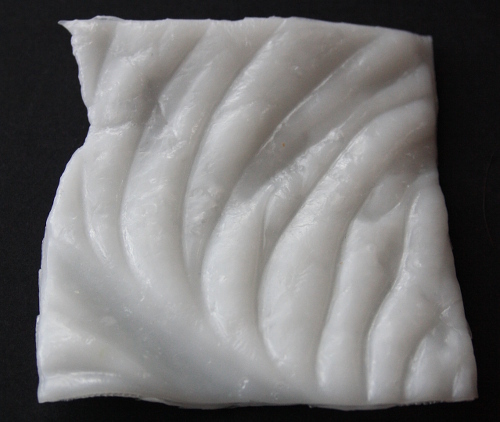 PVC is another possibility as a mold for casting, embossed to create texture. Chicken wire or similar, as seen in Rosemary Christmas’s work, could be used as armature which could be dribbled with plaster or resin. It could be used in combination with other techniques, but again I wonder about trying to do too much. Re-reading my old posts, there are so many intriguing paths I didn’t explore. In my discussion of Victoria Brown’s work I mentioned the spaces between. I want to make the spaces between just as important as the items themselves. Various ideas for molds for a cast. Tilting a vessel while setting then putting a different layer on top could be a simple but effective combination. I’m noting artists to research in part 2. Joining composimold and polymorph using resin?? I suspect this is trying to do too much, but I enjoyed the group photographs I’ve done, so it’s worth considering. Joining leads to the idea of unjoining. Could composimold be used as a mold for say plaster, then partly peeled off? Would that give interesting shapes, perhaps a way of showing boundaries or history? 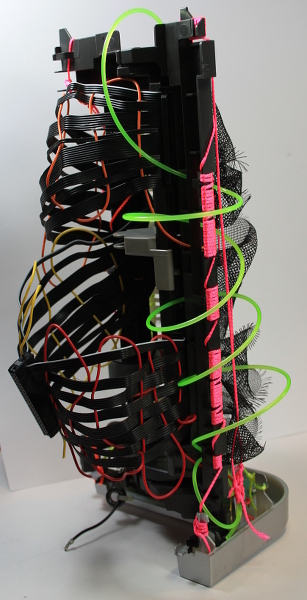 Tutor feedback on earlier work mentioned “a combination of materials can create tension and distortion”. 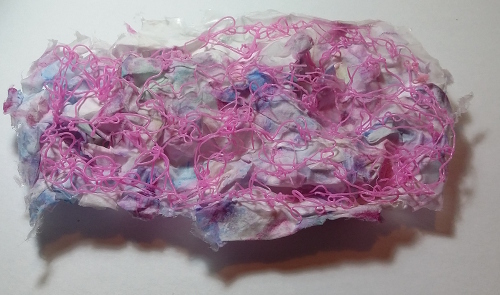 There was weaving photographs, and also joining crepe paper and organza which was then heat distorted. I know there is more to explore here. More ideas for combining materials and creating molds. The lower sketch is based on work by Liz Williamson. I put a request on the OCA textiles forum asking for research suggestions, and some interesting leads have resulted. This page was an early attempt to summarise some of my strongest ideas and to start planning a set of work for the sampling part of this assignment. I’ll come back to this in the review wrapup. I’ve been away from home a few days, and the top sketch was made looking at a plum tree on a property in the Megalong Valley where we spent last weekend. A group of 18, four generations of one family, had our annual weekend away together. I could attempt a link between containers and family units and houses full of adults and children, but really I was simply looking for a quiet moment. The word “tension” came up again, this time in reference to the work of Henry Moore. More research to be done. Themes of scarred shadow, an imperfect memory arise. I’ve noted lots of samples with elements that attract me, then came to one of my current favourite ideas – hollow columns, corrugated surface in a range of materials and dimensions. 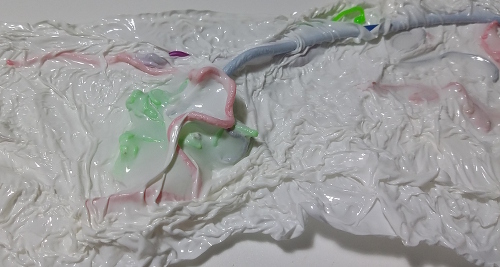 One interesting thread I’ve been following in this process is the development of the dribbling resin idea, tracing its beginning in a failed sample, then leading to some interesting work and ideas. I think this should be a strong contender for use in the final pieces, allowing me to show all the stages. I haven’t put my normal links and photos in this post – too difficult on my travelling setup. It made need an edit when I’m back home next week, or perhaps it will be my classic “could be good, but need to move on”. Part 5 of the course brings together everything learnt so far, consolidating the good work processes developed. The nature of the final outcome is left open – single or multiple pieces, combining methods and materials, remaining experimental. I’m asked to start by going back to the beginning, reviewing samples and learning blog, looking for materials, techniques and ideas to explore further. That’s my first choice in thinking / reviewing / researching. 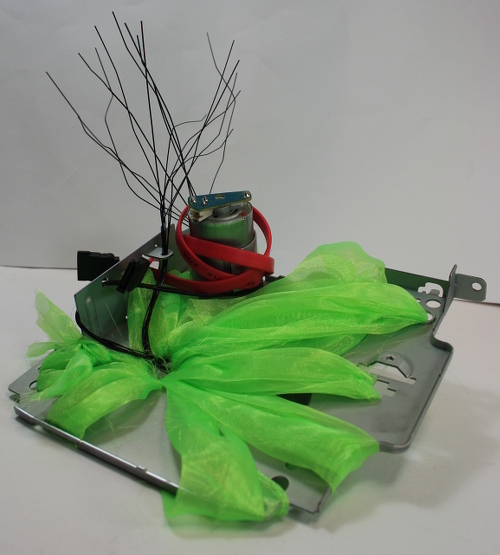 A Collection – composition of groups of items has been a recurring interest through the course. Vessels – a slight narrowing of focus from the universe of all objects. Vessels provide a boundary between inside and outside. It’s a starting point, open enough for all sorts of exploration. www.pinterest.com/fibresofbeing/vessels/ is a new board with images from my research and also my own samples – after all they are are part of my research for this new collection. At the end of assignment 4 I was very aware of going backwards in my sketchbook, so I’m starting with an experimental tweak to my work process. I’ve always used separate sheets stored in a “sketch box”. It gave flexibility of media plus the selection of a sample of work for mailing to tutor and assessors. Now I’m building a sketchbook as I go. Signatures are two sheets of A2 paper, folded to A3. I can sew and bind at the end – no blank pages to add weight and bulk, accommodating any extra or bulky materials at the same time. I’m hoping this will provide a framework for more consistent effort. I also want to experience leafing through a physical book, following progression, checking back on earlier ideas. How much effect will this have on my work? This week I’ve focused on reviewing work from Parts 1 and 2 of the course, looking for material relevant to a collection of vessels, or to an alternate project idea. Annotated images of all sketchbook pages to date are included below. It’s a jumble of ideas rather than a flowing narrative – I see that as the point of this part of the process, generating lots of options. I’ve extracted a few specifics as an overview. Texture – reflections, surface, interior. Variety / relationships. 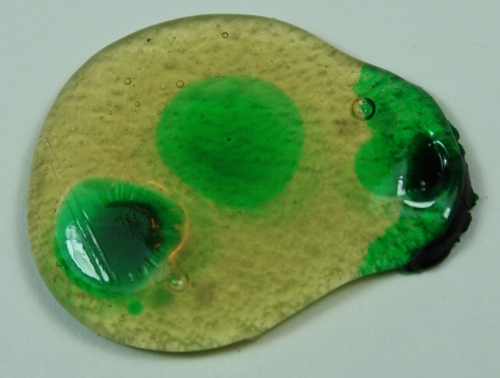 Use resin (or other), or shape or … as the link between elements? A puzzle for the viewer. Get them to ask questions. Engage. Do I want a clear textile link? Bundles of hessian, maybe gathered with 3D pen. Stabilised with resin? Partially? Polymorph – as vessel or as mold or inclusion. How do my favourite new materials interact??? There are also ideas for presentation, research and sketchbook techniques. I will blog about specifics a work progresses. While the clay vessels of Brenna (http://www.designsponge.com/2012/07/diy-project-paper-clay-barnacles.html) are beautiful I am interested in the challenges of bringing more varied works together in an effective way. A page of possibilities for research and sketchbook work. More on the detail as ideas are progressed. A sketch based on Still life: apples and jar by Samuel Peploe (link). I like the repetition of shapes with the apples, combined with variety of shape and scale in other vessels. The combination of multiples with unique forms helps connect all the elements. 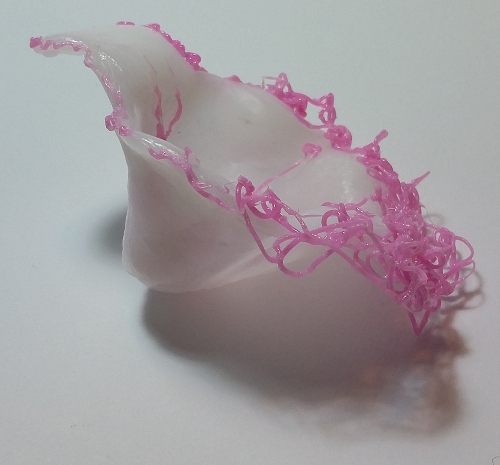 An early pleat variation (21-3-2015) suggests a vessel form. Could this be captured using (dribbled?) resin? What if the paper had been printed before folding? The sketches above and on the next page were done at the time of the original exercise. Steel wool or balsa wood (both using in folding) could be used as inclusions. What about projections? 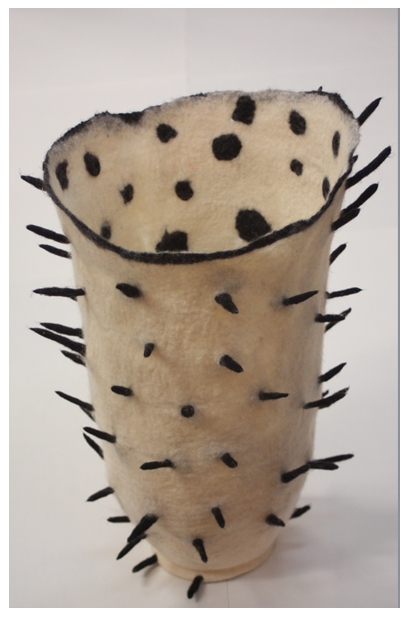 There’s a link to Denise Lithgow’s felted vessels (22-Feb-2014), but I want to stay with more experimental materials. Beginning to build up a library of shapes that I can use to experiment with compositions. My rough sketches were scanned and adjusted in the computer. I then worked with layers in gimp to preview placements. 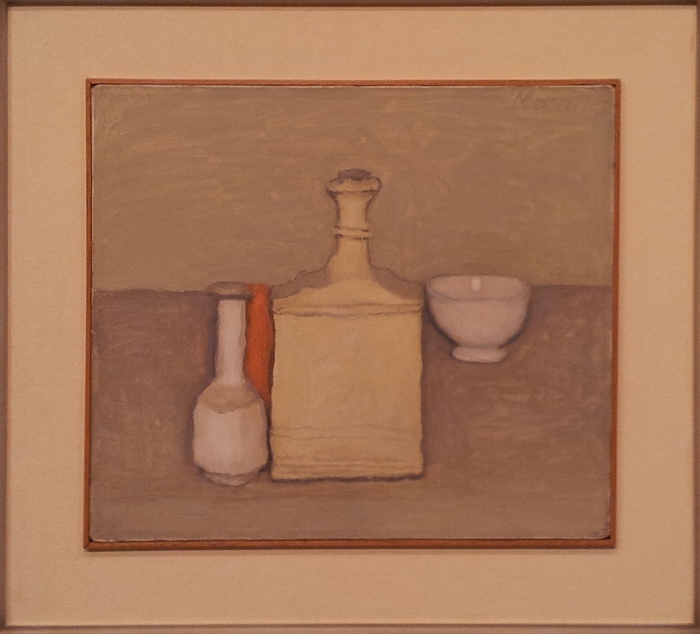 I was thinking about Morandi’s still-life paintings, the same shapes appearing again and again in different configurations, sometimes grouped very tightly. (A post about still-life including this example 31-Jan-2014.) That’s probably the origin of the orange used here as well. I find this variant quite satisfying, with some interesting negative space beginning to develop. Overlap is limited – how much do I want a conversation between elements versus creating a new whole? It’s very flat, with no indication of a surface to sit on. 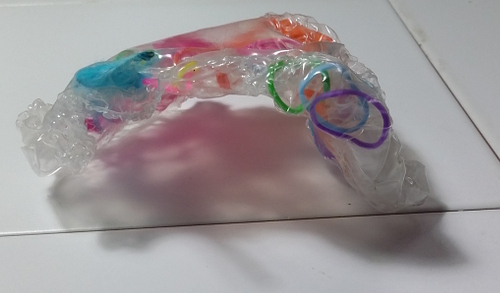 Could bendy straws or wire enclosed in fused plastic be used to create vessels (11-Apr-2015)? Plastic bits or other objects could be entrapped, perhaps giving opportunities to play with shadows and colour. 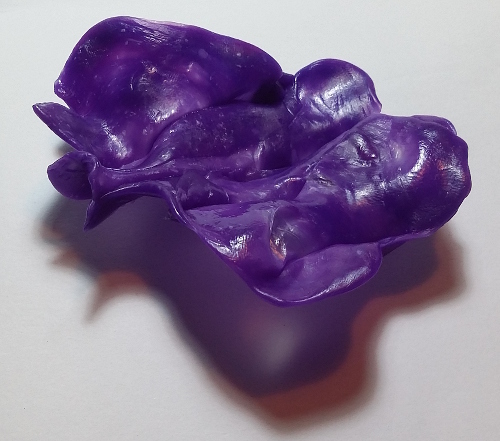 Polymorph could be coloured and molded into vessel shapes (21-Apr-2015). Could it be used to create molds or inserts for other materials (resin or plaster)? Another version of basic shapes, this time more decorative using various embossed and treated papers, all silvery. The background paper was chosen as providing a suggestion of a surface and some interesting colour and patterning in its own right. Still a lot of focus on negative shapes. A much tighter grouping. There’s enough consistency and variation to provide interest and cohesion. The turquoise and silver is a classic colour combination that works well. I like this result. 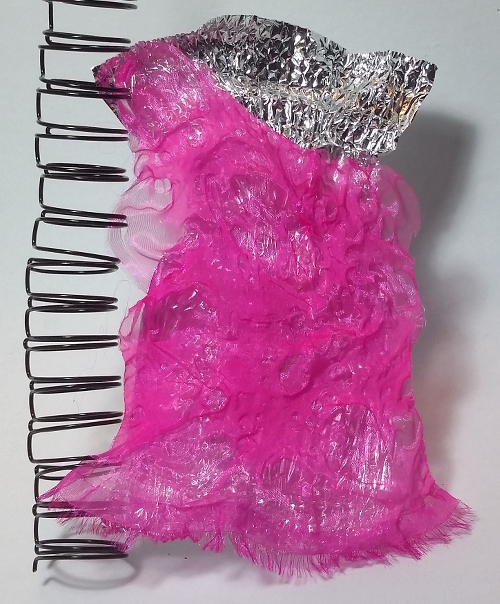 Polymorph, 3D pen and papier mâché ideas (16-May-2015). 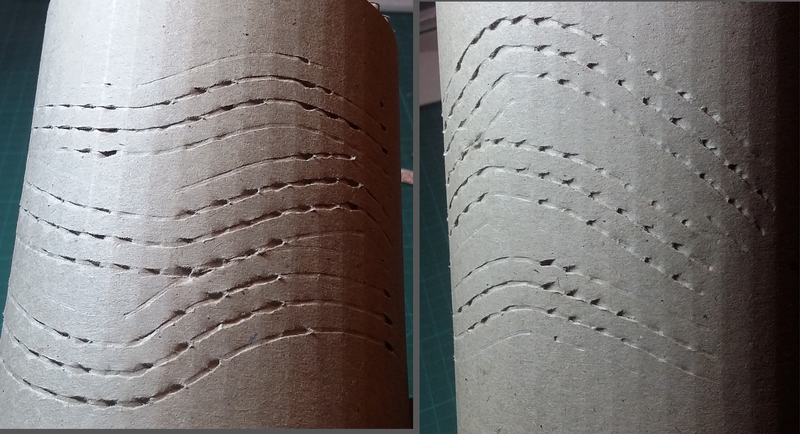 Marking and curling corrugated cardboard creates a good effect as the light hits the cylinder (21-May-2015). Could this be captured within a casting material? Shadows and lighting are very important in my presentation. Sample p2-28 (27-Jun-2015) brought in light, ideas of transparency. 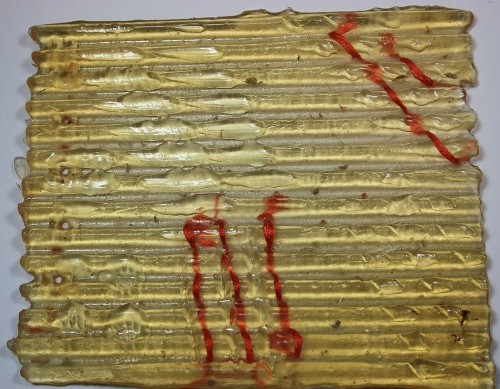 Both materials were used later with resin. What could be done? 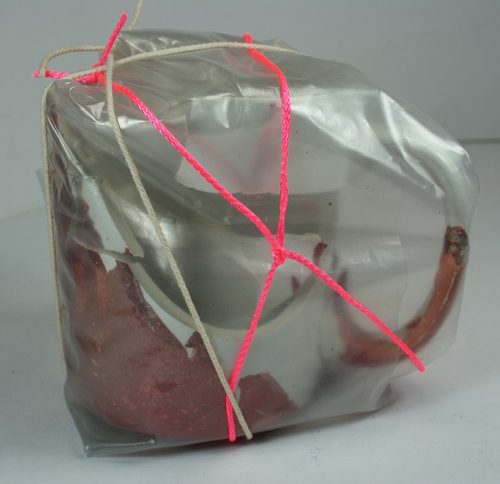 I have thoughts of using carefully applied heat to shape a vessel, then trap/preserve/capture in resin. I note my ideas turn more and more to resin – I want to be careful not to make assumptions or close doors too soon. The sketch is based on an image of Gizella Warburton’s work (www.gizellakwarburton.co.uk/gallery-vessel-forms). A definite inclusion for the Research stage. 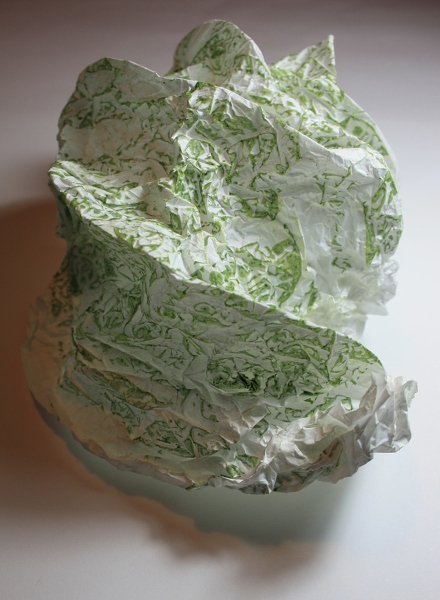 A note from earlier research on Erin Manning, about folds and volume (29-Jun-2015). Something to consider in the vessels. I am very interested in the shapes made with what I’ve been calling plastic horsehair (16-Jul-2015). Some very dynamic lines, claiming space. I like the idea of honesty in materials – showing them without artifice, but if possible at the same time getting people to see them differently. P2-51 has capture/escape, perhaps a frozen moment of energy. Insect mesh is another favourite material – definitely something to sample further. This was one of many posts where I wrote of showing a collection of objects. The braid of p2-57 suggests a potential textile element. 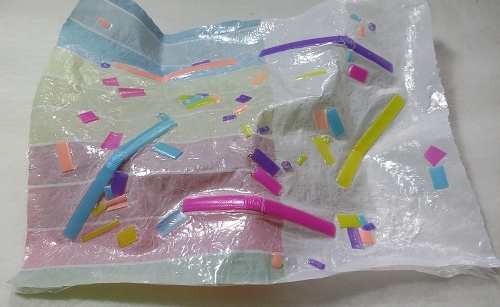 Make braid shaped over say balloon, pour on resin, remove balloon (may need a release agent). Could look great, but visually complex. Would need to think about how it works in a collection. Could the braid be embedded in plaster? Many wrapped vessels 22-Jul-2015. The sequences leading to p2-70 and p2-72 are of particular interest. Lots of ideas of change, transition, deterioriation. Static objects telling of movement. The risk and thrill of destruction. 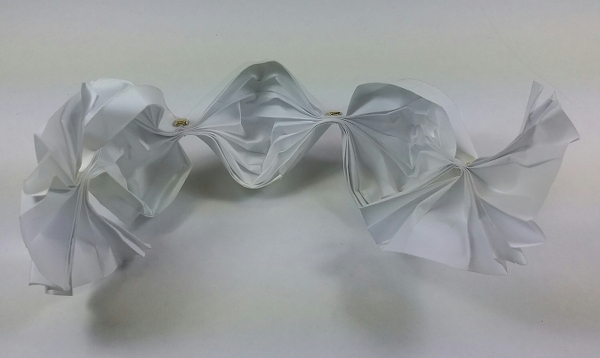 I used photographs of three wrapped samples to create more digital vessel shapes. I couldn’t find a grouping presentation that pleased, so tried overlapping – first with colour, then monochrome. So much more can be seen when colour is simplified. I will need to be careful not to try to do too much in my collection. Leave ideas out.